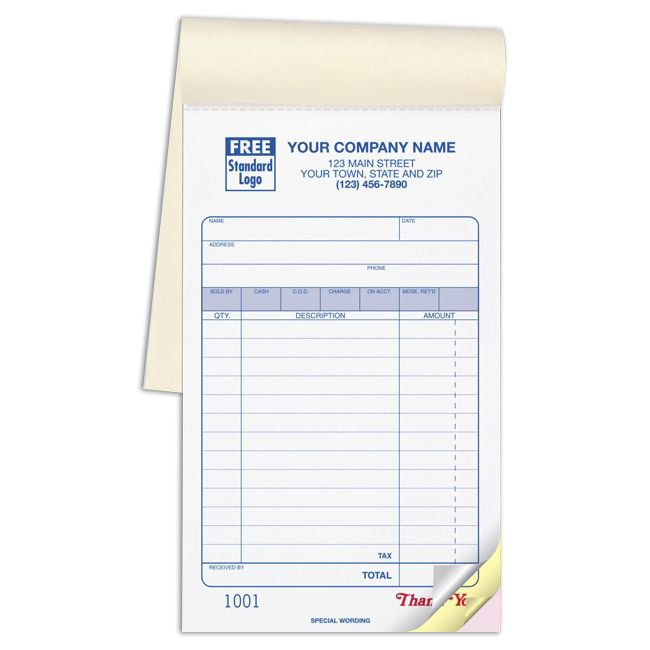 Impact offers a many styles and sizes of Sales Books. 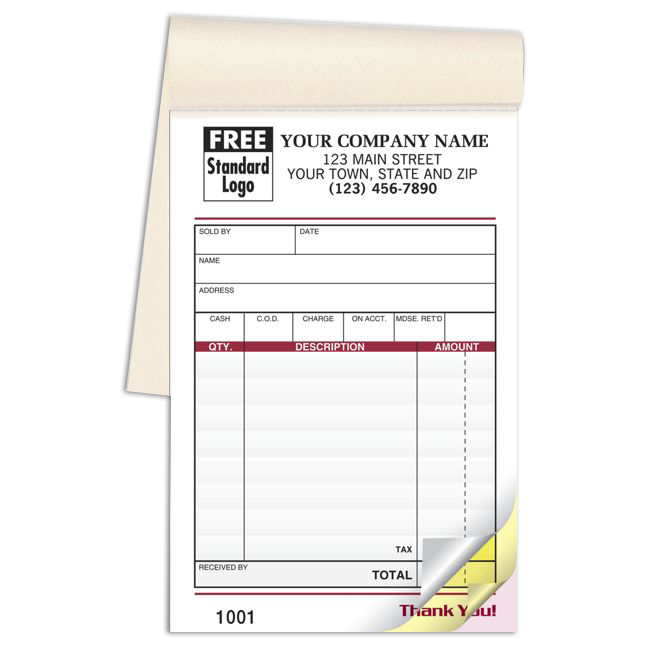 Each includes preprinted areas to simplify write-ups of customer information, salesperson, description of items, payment method & more. 50 sets per book. 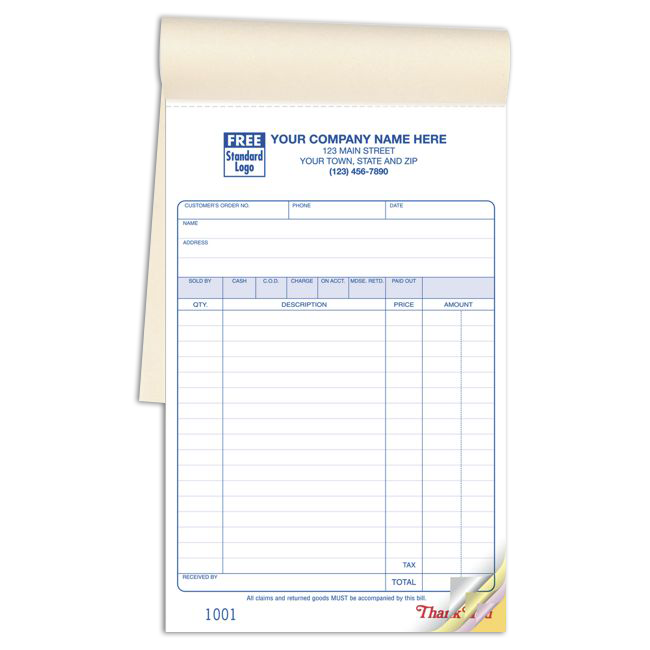 Our Sales Books are available in two parts or three part sets and are sequentially numbered. 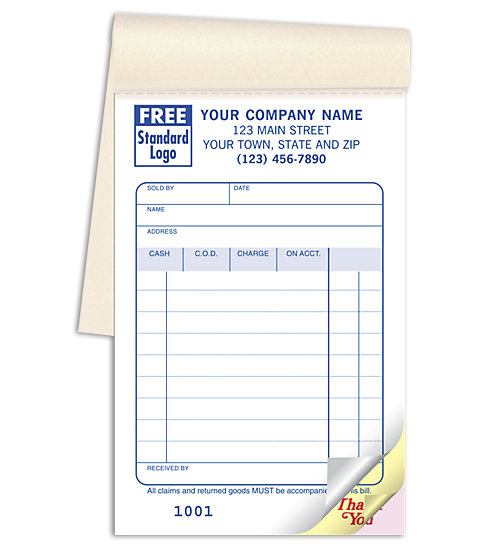 Your logo can be imprinted at no additional charge. 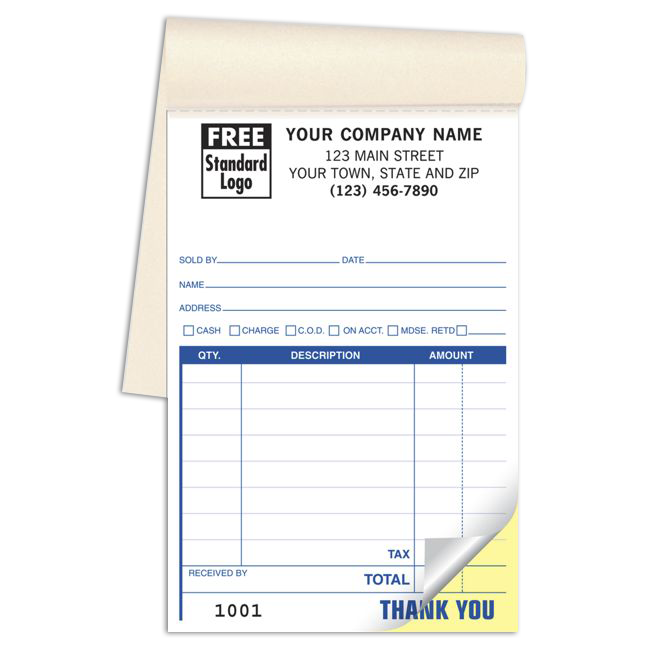 We do not charge any additional set up, logo, or artwork fees for our standard Sales Books. 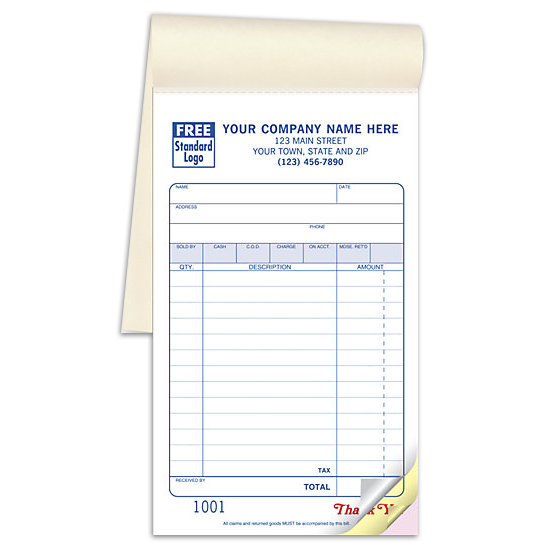 If you would prefer a custom Sales Book, please call us for pricing. 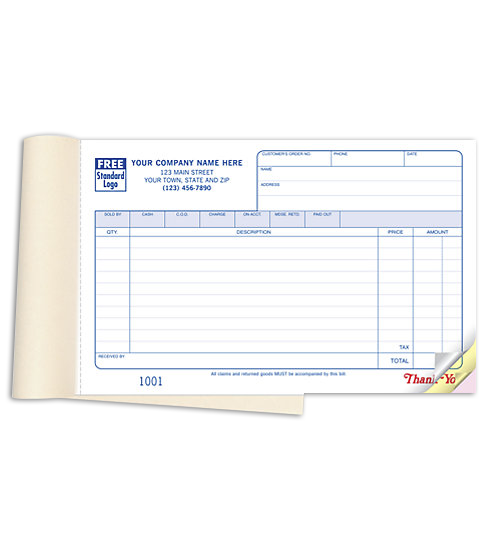 Book Measures 3.375" x 5.125"
Book Measures 4.25" x 7"
Book Measures 5.5" x 8.5"
Book Measures 8.5" x 5.5"